Our client was arrested for improperly receiving Veterans Affairs (VA) dependent benefits on behalf of her mother, who had died almost four years earlier. The total amount of benefits illegally received was $38,413. Synopsis: Carson, $38,413 grand theft by 62 year old woman, case plea bargained to 90 days of community service and five years formal probation. Our client knew she was not supposed to continue receiving her mother’s veteran’s pension benefits, but did not know how to go about stopping the payments. She trusted that eventually the news of her mother’s death would become known by the federal government and the benefits would just stop, but this did not happen. Our client had no prior record. She worked at a local hospital and had done so for over twenty years. 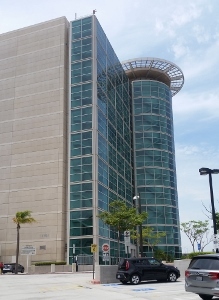 Our client was served with a complaint warrant to present herself to the Airport Courthouse for further proceedings. She then called our office. Before our client went to court, Greg Hill met with the handling district attorney to find out how he planned on approaching the case. The district attorney advised that since the amount in controversy was over $10,000, his offer would necessarily involve at least one year in prison. Greg Hill notified the client of this rather sobering reality and urged our client to arrange for a second mortgage on her home to pay down the debt owed to the VA to under $10,000. The client immediately took action in this regard, as she supported several children on her single-income salary and needed to continue working for her kids. Greg Hill then notified the VA of the second mortgage to help them feel more comfortable as to how the case would proceed for the 62 year old. The client and Mr. Hill then appeared in the Airport Courthouse and continued the arraignment until the funds from the second mortgage could be accessed and paid to the VA. Reporting back to the court approximately six weeks later, the VA was able to report that the outstanding balance was less than $10,000 and, furthermore, that it would be amenable to periodic payments of the outstanding balance. Greg Hill then negotiated a deal with the DA that provided the VA with payments of $200 per month for 49 months. No interest was added to the balance. Our client was very happy to avoid prison, not to mention an interest-free payment plan that she could complete. In entering the plea of no contest to felony grand theft, our client plead in the open. The judge took pity on our client, sentencing her to ninety days of community service and five years of formal probation. He commented that essentially, our client had received a $40,000 interest free loan for four years and would be paying it off interest free as well. The judge also promised that if our client made all payments on time, or even ahead of schedule and otherwise completed all terms of probation, he would then dismiss the case. On the record, in an unusual gesture, both the District Attorney and the judge complimented Greg Hill for his handling of the case and the disposition reached. What Is Community Service, Community Labor and Cal Trans?